Home APRS Archive by category "APRS Explained"
There is a widespread belief that aprs.fi is the internet backbone of the APRS network. 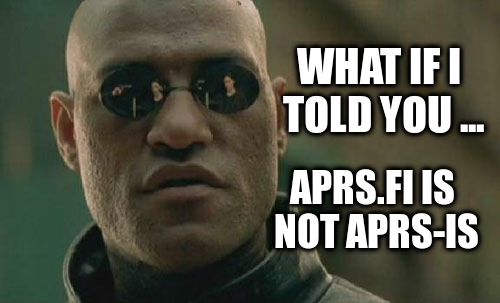 It is not uncommon to read posts on social networks saying “I am connecting to aprs.fi with aprsdroid” or “I need a password for aprs.fi”. Let’s see how and why this is erroneous.